This year Valentine's Day falls on a Sunday and what better way to make Valentine's Day special from the very start than with a nice and relaxing breakfast in bed? Below you will find a few of my favorite ideas for a romantic breakfast in bed. From heart shaped eggs to I love you toast, you will find plenty of ideas for a breakfast in bed spread for your loved one on Valentine's Day morning. is just what you need for making a heart shaped egg or pancake. Top pancakes with fresh strawberries for a splash of red for a nice touch. Who knew toast could be so sweet? Stamp “I <3 You” on toast with this neat I Love You Toast Stamper (use white toast for best results). Or, use a metal heart shaped cookie cutter to cut your toast into the shape of a heart. Either way it will look great! 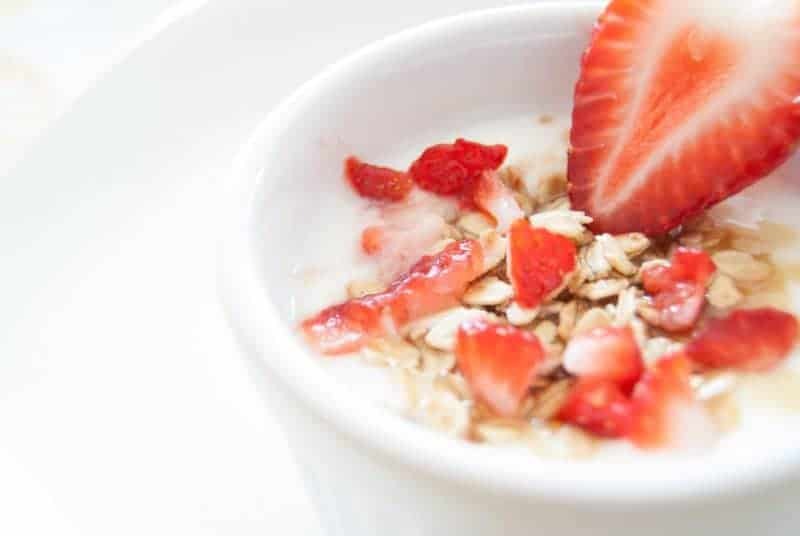 Serve your love's favorite cereal or oatmeal in a red, pink, or white bowl. Top with chopped strawberries for a splash of color. Pour your sweetheart a cup of coffee or tea in a love themed mug. I love this precious pink Porcelain Cup, Saucer, and Spoon Set, but any pink, red, or love themed mug will work just as well. If your sweetie prefers tea, using a heart shaped tea infuser would be a nice touch. This Single Flower Tube Vase is perfect for displaying a single rose, or you could simply opt to lay a rose directly on the tray. Either way is just as romantic. Serve it all up on a breakfast in bed tray such as this beautiful bamboo folding breakfast tray. I love that this tray has handles for easy carrying and legs that collapse for storage. Sprinkle some heart shaped confetti on the tray for a finishing touch before serving, and voila! The Perfect Valentine's Day breakfast in bed!